Panalpina Singapore has launched new biodiesel trucks to serve its global customer L’Oréal Travel Retail Asia Pacific in alignment with their sustainability program – Sharing Beauty with All. By 2020, 100 percent of L’Oréal’s strategic suppliers will be participating in their supplier sustainability program, and Panalpina has reached this milestone ahead of schedule. The use of these new trucks, owned and managed by Panalpina’s transport provider, is one of the initiatives that will enable the global leader in beauty to reduce CO2 emissions from transportation of their personal care products by 20 percent against their 2011 baseline. This is also in line with Panalpina’s science-based target for subcontracted transport to reduce CO2 emissions by 25 percent by 2030 (baseline 2017). The new trucks currently comprise a prime mover (40ft container) and a 24ft truck run on biodiesel, a fuel that is derived from vegetable oil or animal fat. The biodiesel that powers Panalpina’s trucks comes from waste cooking oil collected from restaurants across Singapore. On average, 4,000 liters are collected daily, 90 percent of which is converted to usable fuel. Biodiesel contains virtually no sulfur or aromatics, compared to diesel, and this results in a reduction of unburned hydrocarbons, carbon monoxide and other greenhouse gases. As biodiesel is a direct replacement for diesel, it can be used in any diesel engine without modifications. “Panalpina has a commitment to sustainability, and we are proud to embark on this journey with L’Oréal Travel Retail Asia Pacific to reduce CO2 emissions. 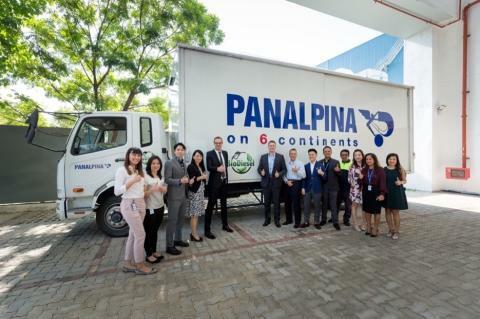 As demand for their shipments and island-wide delivery grows, so too will our fleet of trucks, but we are safe in the knowledge that each liter of biodiesel used will emit fewer harmful gases, resulting in cleaner air for all,” says Gino Marzola, country manager of Panalpina Singapore. 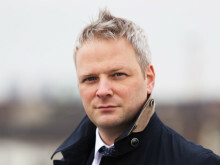 “We are very pleased to collaborate with Panalpina to lead the change in our sustainable operation. The new biodiesel trucks in place is a demonstration of our commitment to reducing our environmental impacts while achieving our ambition for long-term growth,” says Marc-Antoine Poulle, operations director at L’Oréal Travel Retail Asia Pacific. 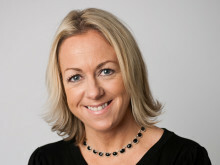 Panalpina is one of the world’s leading providers of supply chain solutions to businesses. The company combines its core products – Air Freight, Ocean Freight, and Logistics and Manufacturing – to deliver globally integrated, tailor-made end-to-end solutions for twelve core industries. Headquartered in Basel, Switzerland, it is a publicly traded company, listed on the Swiss Stock Exchange.